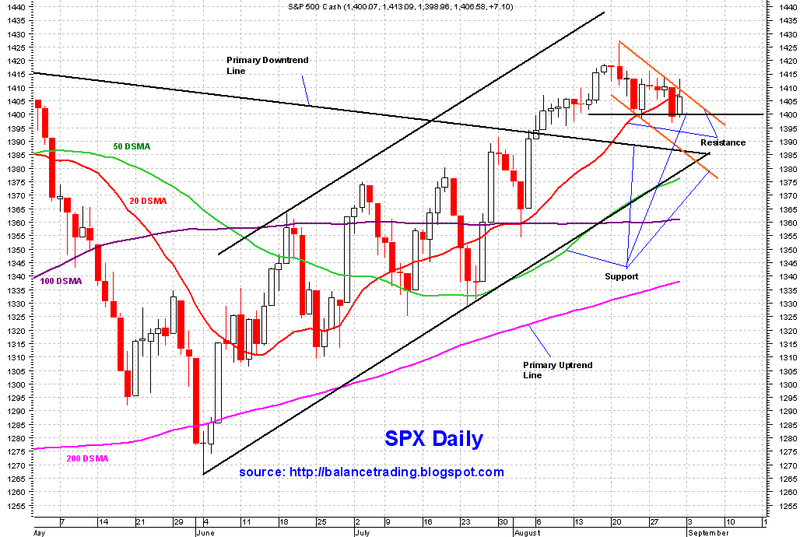 Support at 1400 for SPX has been tested and held 3 times since SPX put in a new multi year high on August 21. I believe that support has been weakened now and is ready to break. Chances are good that we see a sell off to test where the two primary trend lines meet (uptrend and downtrend) around mid 1380's. 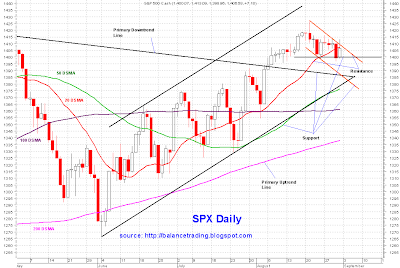 My plan is to to buy back into 4 index ETF's (DIA, SPY, IWM and QQQ), a total of 3 buys starting at SPX 1386.